The only Test Management tool you’ll ever need. ReQtest is a cloud-based test management tool with more than 10,000 users throughout Europe. The testing teams can easily overcome the testing challenges, manage testing priorities and accomplish testing objectives using ReQtest. To start working on the projects in ReQtest is easy and intuitive process. Set up a test project in a few clicks, add users, and easily import test cases from CSV files. It is really easy to get hands-on with the functionality and features of ReQtest. ReQtest offers a simplified test management process to improve the testing efficiency and productivity. 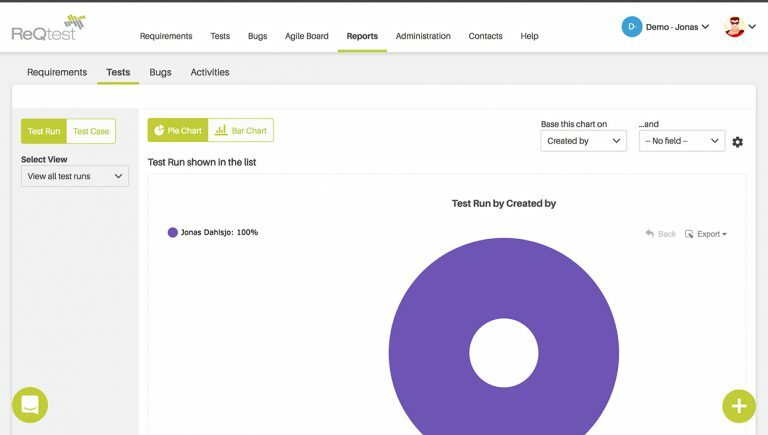 There is an integrated test module to plan and execute tests easily. 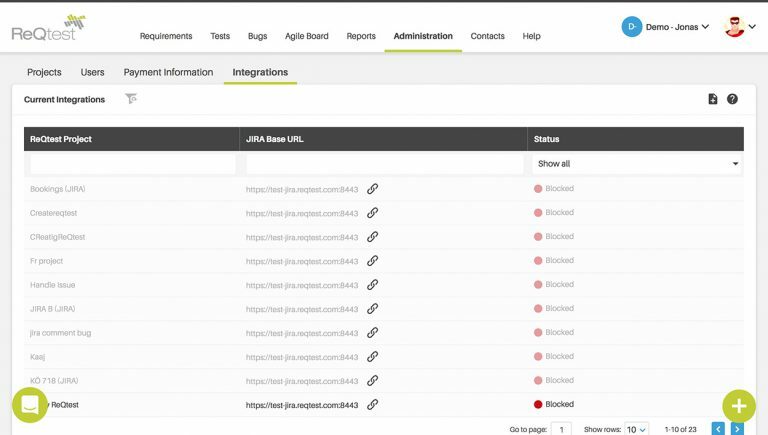 ReQtest brings test management to JIRA and you can leverage JIRA’s issue tracking capabilities. 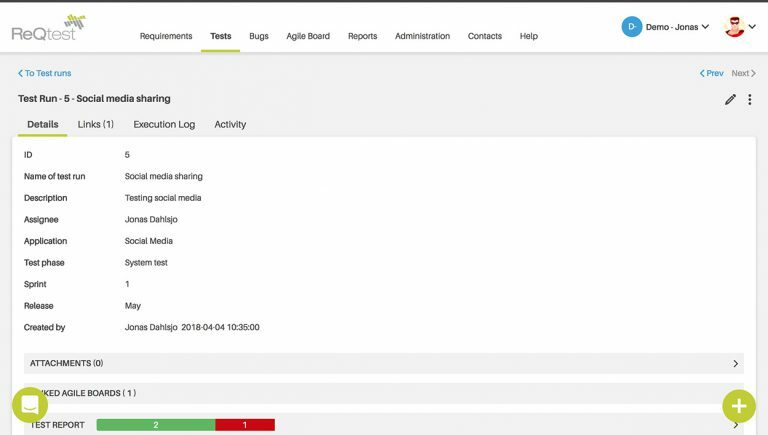 ReQtest offers a separate reporting module to keep track of the progress of testing activity as well as draw inferences on what should be the next action steps. Populate numerous graphs and charts based on the combination of different fields to gain insights on requirements, tests, and bugs. 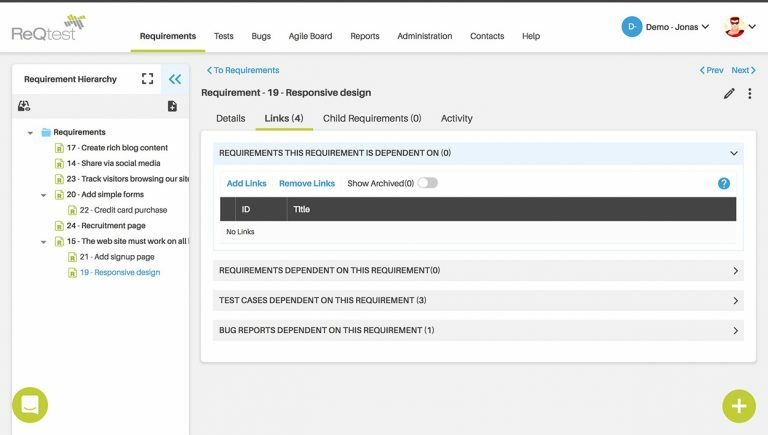 ReQtest offers full traceability to track links between requirements, test cases, and bugs. Link the test cases to the requirements. The bugs which are reported through linked test cases will be automatically linked to the requirement. With ReQtest, you can customize it as per your needs rather than customize the testing process to match the tool. The flexibility to customize is a strong point of ReQtest. 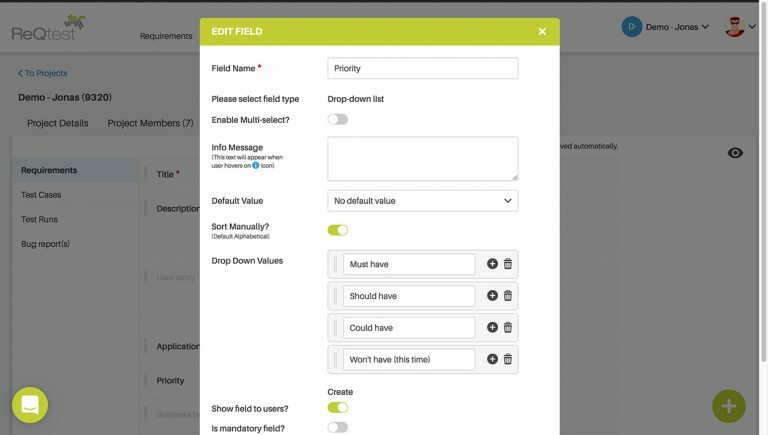 The forms and fields in ReQtest can be easily customized to suit your testing process. 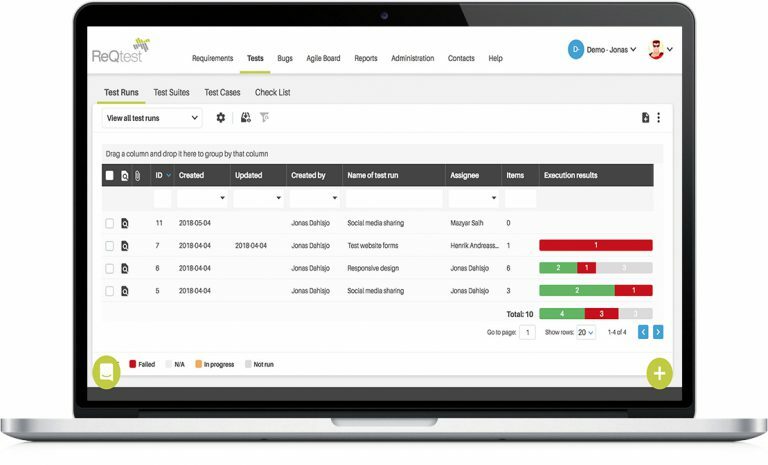 ReQtest’s integrated test management module increases the efficiency and productivity of the testing team. The module offers a smooth test planning and execution process. 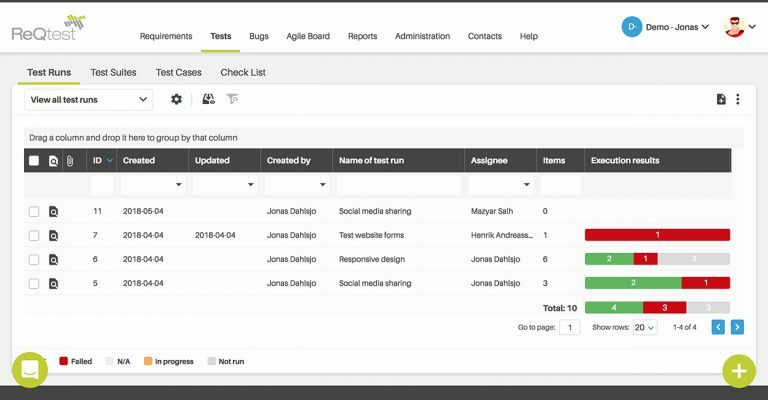 The Test Manager can assign test cases to individual testers and easily keep track of the testing process. A tester can report the bugs to the developers at any failed step within the test case. ReQtest intuitive test management module has quick action buttons that help users perform repetitive tasks quickly.